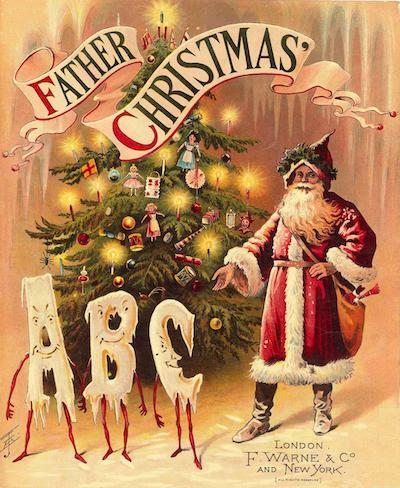 No era has influenced the way we celebrate Christmas as much as the Victorian era. Before the beginning of Queen Victoria’s reign in 1837, Christmas was largely unheard of. One of the most significant cultural shifts within the Victorian period was the introduction of the holiday season, which occurred as a result of the Industrial Revolution. The increase in wealth and the infrastructure allowed factory workers to take Christmas Day and Boxing Day off and celebrate the holiday with their families. The term Boxing Day originated when the less fortunate opened their boxes of gifts from the wealthier classes. It is still commonly used today in Britain and Canada to celebrate the day after Christmas. The custom of giving and receiving gifts was originally done on New Year’s Day, but as the significance of Christmas began growing, it was moved to Christmas Day. It also became a time to reward children with gifts, although the gifts differed greatly according to the family’s financial status. At the beginning of the Victorian period , the children of the rich received handmade toys, which were quite labor intensive to make and expensive. The children of the poor received stockings filled with fruit and nuts, a tradition we still have today. With the onset of the Industrial Revolution and mass production, factories were able to produce toys more rapidly and much less expensively, so they became more accessible to all. The size of the gifts also increased. Initially, small gifts were hung from the tree, but as the gifts began to increase in size and complexity, the placement of gifts became “under the tree.” The popularity of the indoor tree grew quickly giving rise to the new market for ornaments in bright colors and reflective materials that would shimmer and glitter by candlelight. The first advertisements for tree ornaments appeared in 1850. One of the most popular ornaments was the glass Christmas pickle. It was hidden way inside the branches of the tree for good luck. On Christmas day, the finder of the pickle was either given a special extra gift or allowed to open his/her gifts first. The tradition of the pickle dates back to a medieval story of two Spanish boys traveling home to celebrate Christmas. They became weary and stopped at an inn, where the innkeeper, an evil man, stole their possessions and hid them in a pickle barrel. Luckily for them, St. Nicholas came along, saved them and sent them on their way. Victorians also placed candles on their trees, which have now been replaced by electric lights. What would Christmas be without cards? Believe it or not, they did not begin with Hallmark. The first Christmas card was made in 1843 by Sir Henry Cole, who asked artist John Callicort Horsely to create a card Cole could sell in his art shop. The card featured a group of people around a festive dinner table and a Christmas message. Sir Henry had 1,000 printed and sold them for one shilling each, which was considered rather pricey for ordinary Victorians. The idea was successful though, and the wealthier families began sending out cards every Christmas. Queen Victoria was a huge fan, and had her children create and send their own cards. In 1870, a halfpenny postage rate was introduced, and printing technology became more advanced, which made this a more accessible custom for the less affluent. By 1880, more than 11.5 million cards were printed, and a national tradition was born. Some of the early commercial cards were rather creepy though, as they featured ogres chasing bad children, scary clowns and other unpleasant themes. But commercialization of Christmas was well on its way! By 1881, simplicity in holiday decorating had given way to elaborate and elegant customs. In Cassell’s Family Magazine, the lady of the house was instructed that it was worth the while to bestow some trouble on the decorations of the rooms and especially on the menu for the Christmas feast. Early Victorian recipes indicate that the traditional mince pies were originally made with meat, a Tudor tradition, but in the 19th century, the composition of this dish changed. Recipes without meat, but heavy on dried fruit, became the norm. The turkey also has its roots in Victorian times, as it was the perfect size for a middle-class family, and quickly replaced the traditional goose. Poor people often subscribed to a “Goose Club,” where they put aside small sums on a regular basis to save for the Christmas feast. Thus, this would ensure that even the poorest would have a feast to celebrate. Oysters, often called the “protein of the poor,” were also popular. As in modern times, football also became a tradition and form of entertainment on Christmas Day. The games consisted of league matches, which became so popular that they often caused the fans to postpone their Christmas feast in order to attend the game. The first league match on Christmas Day occurred in 1889 and drew a crowd of 9,000. The staff of the Gaslamp Quarter Historical Foundation wishes everyone a happy holiday season, and we invite you to History for the Holidays on Dec. 9, our annual open house featuring the Davis-Horton House lavishly decorated in true Victorian style.